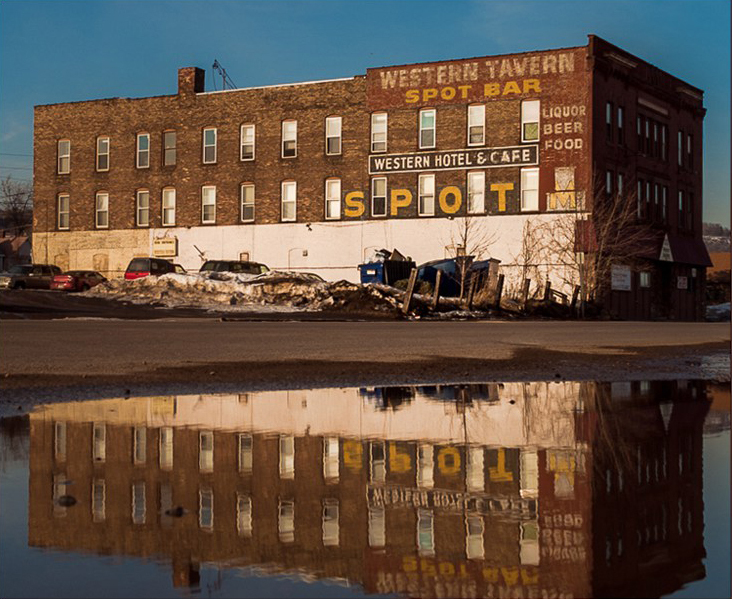 Duluth’s Western Hotel at 2801–2803 West Superior Street. The hotel opened in 1909, operated by Henry and Julia Kohnen along with P. J. Sullivan. The Kohens, who arrived in Duluth in 1892, previously operated the Bell Hotel at 7th Avenue West and Superior Street. All three owners had passed away by 1912, and after that the hotel changed hands many times before closing as a hostelry in 1980. Digging through old city directories, we believe that by the 1930s the Western Café operated out of the hotel, and after Prohibition ended, an addition was made to the west side of the building, and this became 2803 West Superior Street. Here Louis Berglund opened a shop that sold “beverages.” Robert DesMondt took over from Berglund in 1941, and in 1948 that establishment became the Western Tavern. From about 1976 to 1999 the Western Tavern operated alongside the Spot Bar before both closed.